Sculpture in Stone (MFA), no. 365; Sculpture in Stone and Bronze (MFA), p. 115 (additional published references). 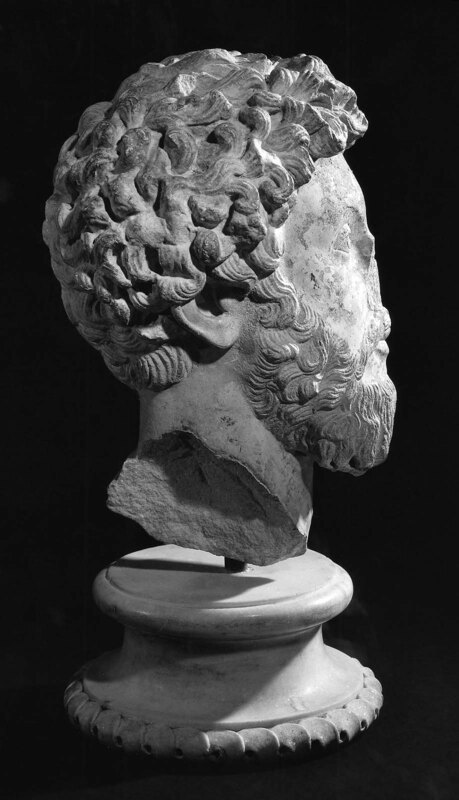 The nose is missing, and the left side of the head shows major damage to the original marble surface. A major part of the left eye, the mouth, the beard at the chin, and much of the rest of the left side of the face has been turned into calcium sulfate (gypsum). A large rectangular hole, for supporting the figure, appears in the back of the head. The undamaged surfaces have areas of light brown to yellow patina or staining. 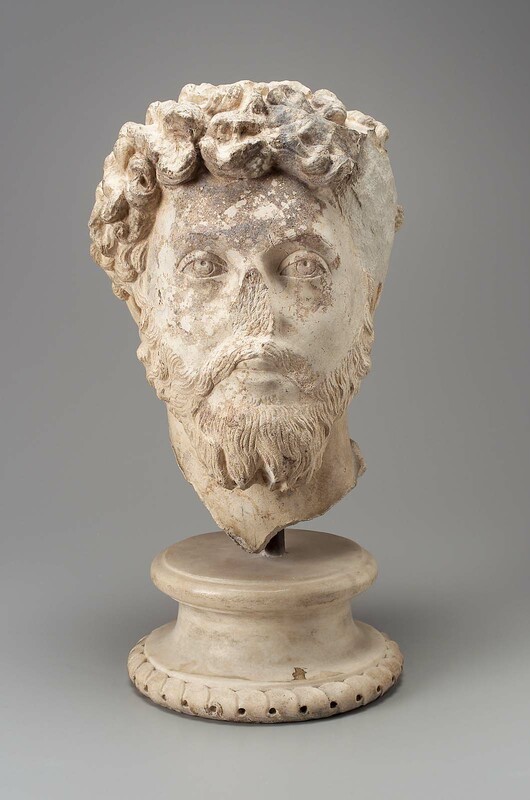 The traces on the shoulder and behind the neck indicate that this portrait came from a bust draped in a cloak or tunic, or from a togate statue. 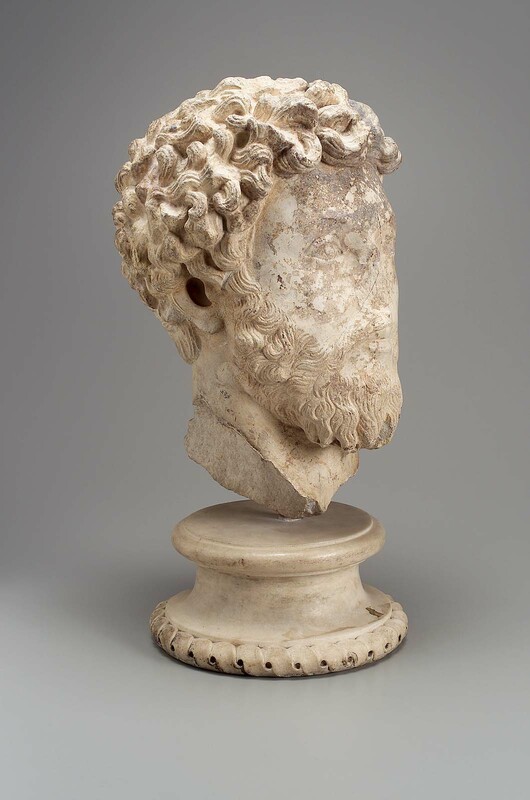 The latter might be more likely the case, for a hole drilled in the back of the head above the nape of the neck at the time of carving in antiquity suggests a fixture for securing a statue to the niche of a basilica, a theater facade, or similar public architectural setting. Marble has been scientifically tested with X-Ray Fluorescence and determined to be Dolomitic. Harvard Lab No. HI368b: Isotope ratios - delta13C +2.50 / delta18O -6.44, Attribution - Thasos-Cape Vathy, Justification - Dolomitic by EM.